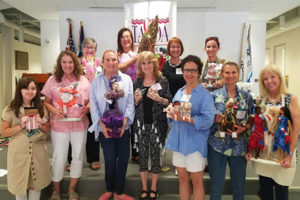 The Texas Association of Original Doll Artists (TAODA), Girl Scouts of San Jacinto, and The Common Thread Circle combined forces to create a program of making and sharing dolls with Girl Scouts and children in Houston area hospitals. 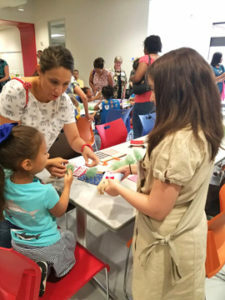 45 Girl Scouts participated in this program which took place on Saturday, June 9, 2018, at the Girl Scout building in Houston. 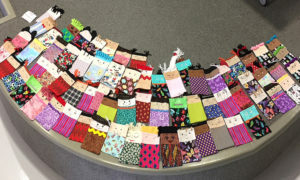 TAODA members designed and made over 150 different unstuffed pillow dolls. Each Girl Scout was allowed to choose 3 dolls to stuff. 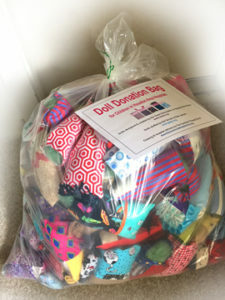 The girls would keep one doll and donate the other two dolls. The Common Thread Circle provided the fiber fill for this project. 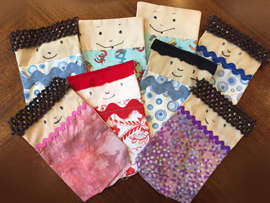 Common Thread members closed the donated pillow dolls and will distribute them to patients in Houston area hospitals. 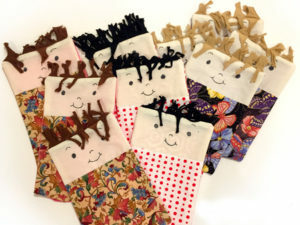 World Doll Day is celebrated on the second Saturday every June. Common Thread gives thanks to the Girl Scouts of San Jacinto and TAODA for working with us to make this world a better place. This entry was posted on Thursday, June 21st, 2018 at 5:10 pm	and is filed under News. You can follow any responses to this entry through the RSS 2.0 feed. Both comments and pings are currently closed.